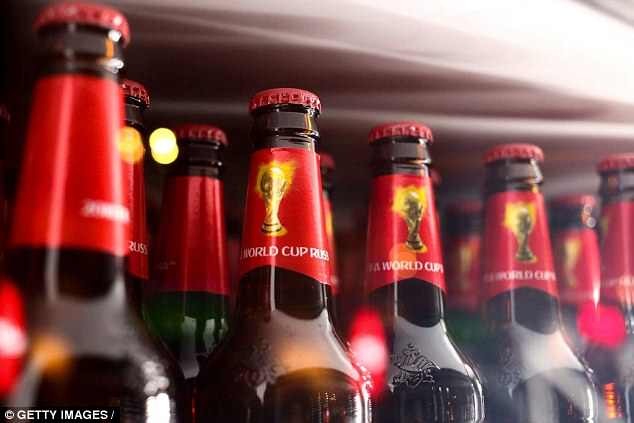 Egypt‘s Mohamed El-Shenawy chose to reject his man-of-the-match award following the World Cup Group A opener against Uruguay due to it being sponsored by Budweiser. El-Shenawy produced a series of reaction saves to deny the Uruguay front-line ofEdinson Cavani and Luis Suarez before Jose Gimenez’s 89th-minute winner finally broke Egypt’s resistance. 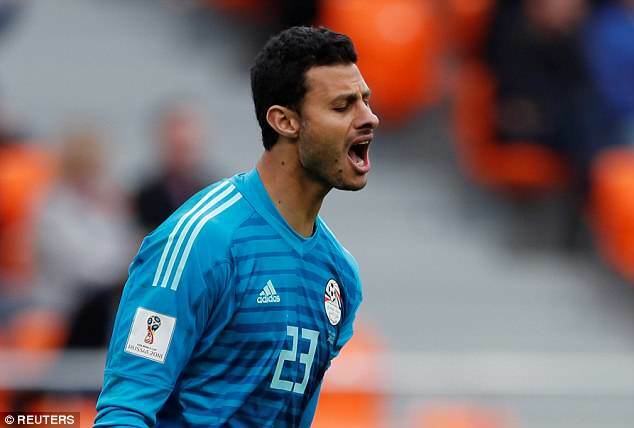 And despite the defeat, El-Shenawy’s performance was deemed enough to clinch MOTM honours from Egypt’s Group A opener at the Ekaterinburg Arena. 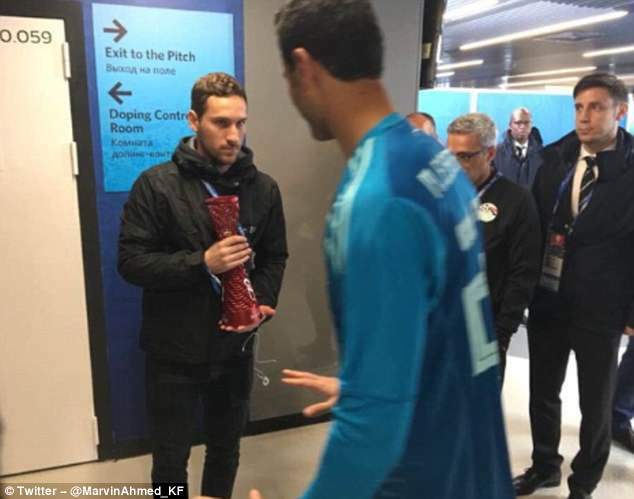 But when presented with the award post-match the El Ahly shot-stopper opted not to collect it due to the sponsorship of beer giants Budweiser. El-Shenawy is a Muslim and his faith generally forbids the consumption of alcoholic beverages so he chose to reject the award which is shaped into a red goblet. Egypt are among seven Muslim-majority nations represented in Russia along with Saudi Arabia, Morocco, Iran, Tunisia, Senegal and Nigeria. Other star names at the World Cup are also Muslims including France’s Paul Pogba, Germany’s Mesut Ozil and El-Shenawy’s Egypt team-mate Mohamed Salah. 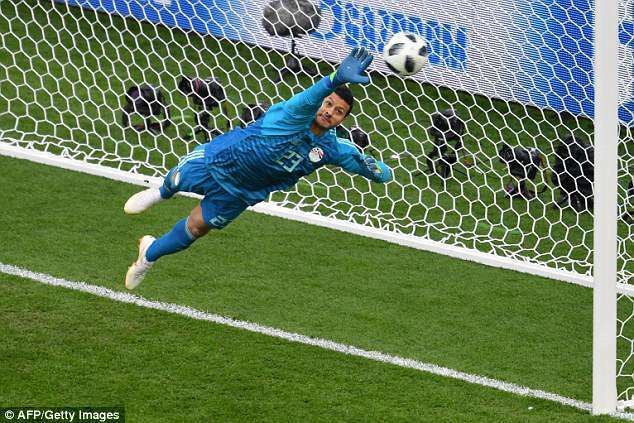 El-Shenawy was selected ahead of 45-year-old goalkeeper Essam El-Hadary, who played in a number of Egypt’s warm-up matches prior to the start of the tournament. Egypt are next in action against Russia on Tuesday before a meeting with Saudi Arabia to round off their Group A campaign on June 25. The Pharoahs are hopeful their star man Salah will be fit to face hosts Russia after he was left on the bench during Egypt’s defeat by Uruguay by coach Hector Cuper. ‘Salah participated in training with his team-mates for the entire session and he is ready to play against Russia according to technical staff,’ Egypt’s team manager Ihab Leheta said.